Trick Mix: 2001 Nike Tag Commercial Is "It"
2001 Nike Tag Commercial Is "It"
One of the greatest television commercials ever is the Nike “Tag” commercial. In the TV ad, a young man is walking along in a large city with his newspaper and coffee and is “tagged” from behind. Since he is now “it”, he is required to chase all the people around him, who are now fleeing to get away from him, so that he can tag someone else to be “it”. Humor ensues as he finds it difficult to chase and make contact with any of the ordinary city dwellers who have now stopped their normal routines and become intensely active in this massive citywide game. The Nike “Tag” commercial was one of four TV adverts in a summer 2001 Nike campaign that had the theme of “Play”. The other three commercials in the campaign were “Shaderunner”, “Racing”, and “Tailgating”. The Tag ad premiered on American television on June 25th, 2001, and ran until Labor Day, September 3rd, 2001. It had the unusual length of 90 seconds for its initial version, which ran on television for a week. After that, a 60 second and 30 second version were used instead. The Tag commercial, from the advertising agency Wieden+Kennedy (W+K), was a huge success in the advertising world, winning the Grand Prix at the 2002 Cannes International Advertising Festival. It was one of the ten most-awarded commercials of 2002, and in 2010 was voted one of the top ten advertisements of the decade by Campaign magazine. 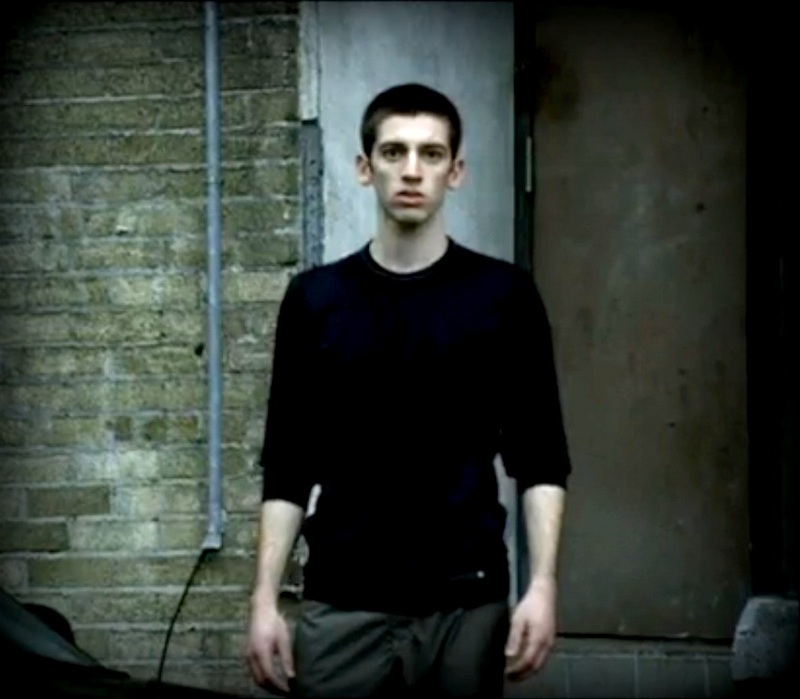 Three of the Nike “Play” commercials, Shaderunner, Racing, and Tag were filmed together in Toronto, Canada. Location scouts spent a month looking for the right spots to film in Toronto, but because of bad weather during the filming period, changes in the scripts, locations, and schedule had to be made. It was decided to film all three commercials simultaneously in a compressed 10 day period, shooting scenes whenever a location was available and the weather was cooperating. “Shaderunner” required real shade being cast by the city buildings onto where the runner was running, and so the filming of the other two commercials had to work around the availability of sun and shade as the film crew had to move quickly to use it whenever they had it. The filming of Tag then ended up having a lot of “winging it” to get it done in the time available. That flexibility allowed such important ideas like the trashcan hiders to be added while filming was going on. The film crew used 16mm film and three cameras to shoot each scene. The goal was to do each scene in one take, and the three cameras would allow for different views of the action to be put together. With the short schedule and 400 to 500 extras taking part, it was important to minimize the retakes. The success and the lasting appeal of the commercial can be attributed in part to the sympathetic protagonist of the piece and the actor who played him. Who is the guy in the Nike Tag commercial, the one who is “it”? It is actor Moti Yona, also known as Moti Yona Rosen, or Moti Rosen. He is a Canadian actor, who among other things appeared as Charley in the 2003 move Twist. Tag was Moti’s first commercial. The story is that he was selected right before filming from the hundreds of extras who answered the call to show up and be part of the commercial. Moti was amazed to be the lead, and with the many extras around him during his first scene (the crane shot showing his realization and exasperation that he had been tagged), it felt to him like being in a feature film. The commercial was shot in several locations in Toronto, which was evident by the reflection of the CN tower on the glass side of an office building in one of the shots. The initial scene of Moti being tagged was at the intersection of York and Wellington, next to the Canadian Pacific Tower. The famous scene of the line of people hiding behind the trashcan was at Emily and King Streets. An interesting production note is that when the mob of people are running north on Emily to King Street, the film is reversed. When Moti gets to the intersection and looks around, the film is the correct orientation again. After Moti realizes that people are hiding behind the trashcan and starts to chase them, people run down the stairs into the St. Andrew subway station. When they get to the bottom, they are however at Toronto’s abandoned Lower Bay station, which was only used as an actual subway station for six months after it opened in 1966. It was closed and unused thereafter, but it found a second career as a filming location for many movies, television and commercials. The music for the Nike Tag commercial was an original piece written by David Wittman, a composer at the music production company Elias Associates. The advertising agency had asked him to create something that didn’t sound like a typical TV advert score, and he was happy to comply. The techno track he composed included drums, a cello baseline, a bongo solo throughout, and some simple techno-type elements. Wittman wanted a fun sound that fit the intriguing and unusual storyline. The shoes on Moti Yona are the black/grey Nike Air Fantaposite Max. The strangest aspect of the commercial is that everyone, including businessmen in dress shoes, is all able to outrun the guy wearing these Nike shoes. That’s not necessarily a good testament for the shoes’ capabilities. Copyright © Trick Mix. Theme images by mammuth. Powered by Blogger.